Note: If you have not been using our Lenten Series, you can easily modify the references to make this a stand-alone sermon. We are almost to the end of the Season of Lent. Now we enter Holy Week as we prepare for the Joy and Mystery of Easter next Sunday. During the Sundays of Lent, we have been discussing prayer as a way to be close to God. Prayer is how we talk to God. We talk to God about things that make us happy, things that scare us, things we need, and things our friends need…but prayer is not a list of things we want; prayer is not directions we give to God. And today’s story of Jesus riding the colt reminds us of this. No matter what happens, no matter why we pray, God has a plan. Just as God had a plan and a need for the young horse, God has a plan and needs each of us. And whenever we pray, we tell God that we know this. Jesus taught us to pray to God saying, “Thy will be done.” This means we will do what God needs us to do. We pray and share our thoughts and feelings but we also express our faith that God has a plan for us, a purpose for us, and we trust God. Holy Week is difficult as we remember the end of Jesus’s life on earth. 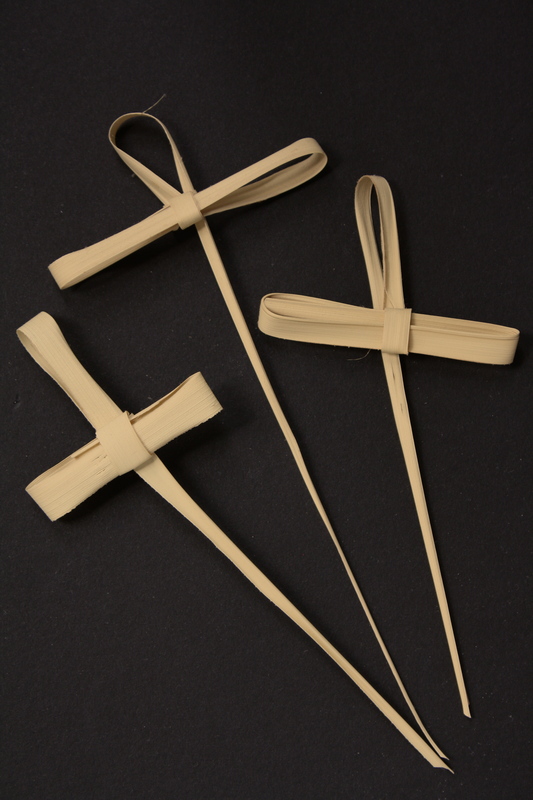 We start by waving palm branches and then we walk through the dark stories of the Passion and the Crucifixion. But through all of this, we know that God has a plan. And next Sunday, we will rejoice that God’s plan as seen in the death and resurrection of Jesus includes loving each of us now and always. and we think about the colt. This entry was posted in Lent and Easter, Year C and tagged children's ministry, children's sermons, Holy Week, Lent, Luke, Palm Sunday, palms, prayer. Bookmark the permalink. Palm Sunday, the beginning of Holy Week! I am so grateful for the inspiration of your thoughts for this Lenten season. I have a very small group of children (6 “regulars”) in a rural community in the Blue Ridge mountains of Virginia. We have been carrying through with the idea of Spring Training and practicing our faith skill – Prayer. I decided to use the initial “baseball” image throughout & the children have seemed to enjoy — but no more than I have enjoyed & been inspired by the study. The first Sunday of Lent I took a BRAND NEW baseball into church & each week we have been writing a prayer practice word on it — THANKS, COURAGE, DIRECTION, RECONCILIATION, PoP. Today the words were to be “God’s Plan”. Unfortunately, we were snowed/iced out! Again, THANK YOU SO MUCH for your thoughts and inspiration. We have taken your kernel & applied the spirit (Spirit) of the message each week. I look forward to Easter Sunday with the children, I just hope Mother Nature cooperates! I look forward to saying with the children this Sunday “The Lord is Risen!!”. Thank you, Barbara, for sharing with us how you used this series. I am sure that your children felt God’s blessings through your enthusiasm. The Lord is Risen indeed!